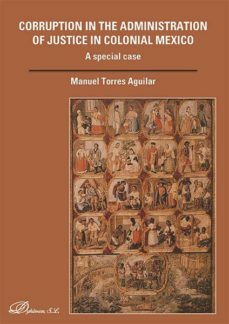 This book examines a criminal proceeding in the second half of the eighteenth century processed in the Royal Audiencia of Mexico, by the residents of a nearby location of Mexico, against the Mayor. The set of allegations is so serious, and such abuses are committed against the inhabitants that the suspension of the exercise of his office was determined to educate the whole cause. However, the highlight of the process is the handling of all procedural ways for delaying the procedure conducted by him. It allows us knowing the current procedural law and the operations that made some judges, lawyers, prosecutors, officials, etc., sometimes for their own benefit and to the distinct detriment of their trade and the role they were entrusted. In most of the alleged crimes against him, the spirit of unjust enrichment is involved, which raises once again the question of the use that some bailiffs from their office made to get their wages supplements to justify the investment involved in the purchase of the trade. In any case, the severity and variety of such crimes committed by the Mayor, offer an illustrative example of a wrongdoing which deserved a greater hardness on the performance of the Royal Audiencia. The reader will go through every step of the process feeling the fact from the coldness of a document drafted with an exquisite precision.